5 Crucial Things To Learn From Competent Crew Sailing Courses! Are you out to learn RYA competent crew sailing courses? Indeed, it is your great initiative to get yourself equipped with sailing experience while enjoying the activity at the same time. So, you might be wondering what it will be like. Of course, 100% enjoyable and memorable time where you will meet with new people aboard. While taking your meals on-board, you will be learning and mastering the art of sailing lessons with practical sessions. If you are a novice learner who has just set his feet for sailing in the harbours, you might be curious about what will you be learning by the end of the course? This guide will answer your each and every query related to your expectations from the competent crew course. 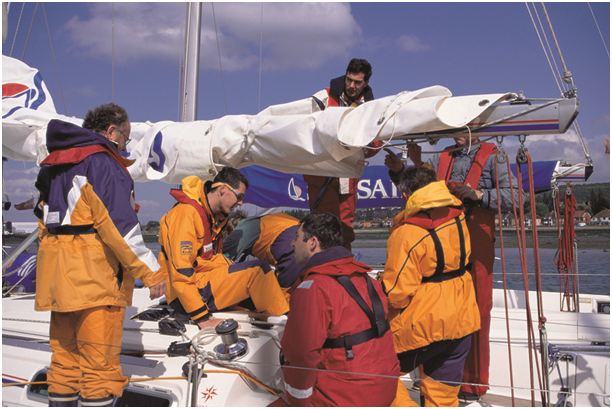 The Competent Crew Course covers everything you need to know and act while sailing. For example, it briefs you about the safety equipments, their demonstrations, tying the knots and prepares you to handle everything as an active crew member. The syllabus also includes stuff from leaving the harbour to preparing for anchors. Your instructor will brief you about the each new element to make you a successful sailor. You will get familiar with the skills to handle ropes as a true seaman. Starting from basics like tying various knots, the right situations to use them effectively. You will also be trained how to rig these together, drop sails when required and ways to flake them on a rail. The other things will include learning to tie up a yacht securely and safely lay an anchor. These basic things are the lifeline of your safe journey on the deck. Helmsman ship is all about learning to steer a yacht with compass. It is an integral element of RYA competent crew sailing courses and let you learn the art of sailing in the most efficient way. Although, these tactics demand time to get the mastery. However, you will be able to acquire a lot of knowledge if you listen well to your instructors during the sailing lessons. Almost every task aboard requires high level of teamwork. Furthermore, you will get an opportunity to learn about positioning – the most important aspect of sailing as a team. Here, you will practice for sail handling under any circumstances. Manoeuvring the boat under sail is an art that you will excel over time. Sailing on the deck always brings some chores to do. After all it is far beyond than lying there trying to look good on the deck. Unless you own a super-yacht, you will have to clear the mess around and maintain the charm of the deck. At the end of the course, your instructor will guide you for a cleanup session that could end for an hour. This part of learning is fun as you enjoy spending a civilised time together with your friends on the water. RYA competent crew sailing courses touch the insight of sailing aboard. The moment you leave from the deck, you will be filled with great confidence to handle the situations on the water if the need arises during sailing in any day of your life. If you are a frequent traveller who loves to explore the oceans, you can never live without learning these competent crew courses. However, it is always better to ask for a professional RYA training centre as there is no substitute for quality sailing lessons.